Insufficient federal funding for GLONASS is not the only threat to the integrity of the satellite fleet. A bureaucratic struggle is currently underway for a revision of the 2012–2020 GLONASS federal program. Source: Oleg Urusov / RIA Novosti. The Russian government is preparing an official statement entitled “On the provision for the free use of the GLONASS system,” for the global community and the International Civil Aviation Organization (ICAO). A source at Roskosmos told Izvestia that the Russian government is planning to release and distribute the statement at ICAO’s 12th Air Navigation Conference, to be held on Nov. 19 in Montréal. The draft statement prepared by Roskosmos reiterates Russia’s commitment to maintaining the availability and accuracy of GLONASS (Global Navigation Satellite System) for at least 15 more years, in accordance with ICAO Standards and Recommended Practices. The statement also promises a refrain from the use of any methods that could compromise the satellite system’s accuracy. The GLONASS statement was prepared on the instructions of a working group set up by Vladislav Surkov. The issue of promoting GLONASS abroad was discussed at a working group meeting on Jun. 28. Roskosmos chief Vladimir Popovkin informed the group that Russia had already made such a statement in 1996, promising to maintain GLONASS for 15 years. Popovkin proposed making another such statement, since the last one expired in the summer of 2011. However, by promising to maintain GLONASS in 1996, Russia effectively misled ICAO and the international community, since funding for the replacement of its satellite fleet was irregular. By the time the federal special-purpose program Global Navigation System was enacted in 2001, only six operational satellites remained in orbit, instead of the 24 units required for a full-fledged global service. Today there are 31 satellites in orbit: 24 are being used for operational purposes, two are undergoing technical maintenance, four are in reserve and one is in test mode. Three more satellites are in reserve on the ground and scheduled for launch in the first half of next year. The future of GLONASS looks relatively safe for the next few years, but the space agency is worried about its long-term outlook for the same reasons it did in the late 1990s – program funding is shrouded in uncertainty. 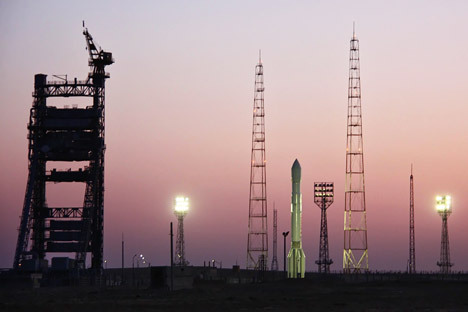 “The funding proposed by the Ministry of Finance will lead to the deterioration of the GLONASS orbital fleet (to ten satellites by 2016–2018), as well as to delays with deployment of the new GLONASS-К satellites. Consumers will lose the ability to have continuous positioning, and the global community will lose confidence in the system,” Popovkin said in a letter to President Vladimir Putin in August. Insufficient federal funding for GLONASS is not the only threat to the integrity of the satellite fleet. A bureaucratic struggle is currently underway for a revision of the 2012–2020 GLONASS federal program. Aleksandr Gurko, head of the nonprofit partnership Agency for Development and Use of Navigation Technology (NP GLONASS), has proposed rewriting the program in order to appropriate more money for the implementation of surface-based telemetric applications. Of course, less money would then be available for the space-based segment. Most significantly, GLONASS governmental head Vladislav Surkov views Gurko’s initiative as worthy of attention and has already ordered amendments to the federal program to be drafted. In this context, Russia’s commitment to maintaining GLONASS at the required level benefits Roskosmos and Popovkin: it effectively guarantees continued funding for the program. It is not a coincidence that Popovkin initiated this statement rather than the Ministry of Transport or Rosaviatsia, both of which are more closely tied to ICAO. Civil aviation expert Semyon Belgorodsky pointed out that the shelf life of the current GLONASS-М satellites turned out to be noticeably longer than that of the satellites used in the 1990s – seven years compared to three. Consequently, the chances of not living up to a promise given to the international community are lower this time around.